A shift to cool and windy weather has not prevented me from walking the streets and paths of Helsinki. And the lengthening days allow for lots of time for walking after dinner, when the light is still bright, but softer. 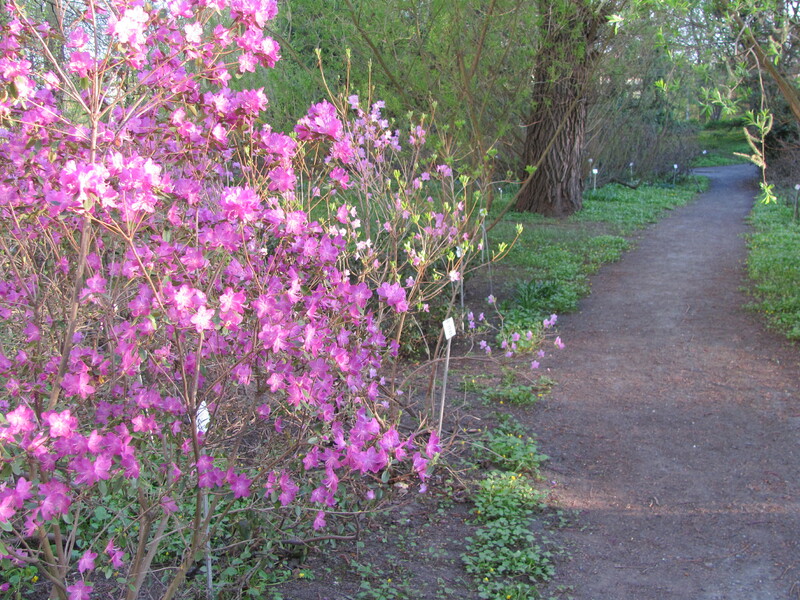 Not far from where we are staying, and within view of the main railway tracks into Helsinki centrum, is one of the University of Helsinki Botanic Gardens. The gardens there have become a favorite spot, my walks quickly turning into a leisurely stroll on the paths there – to better savor the plants coming into bloom and to appreciate the garden design. 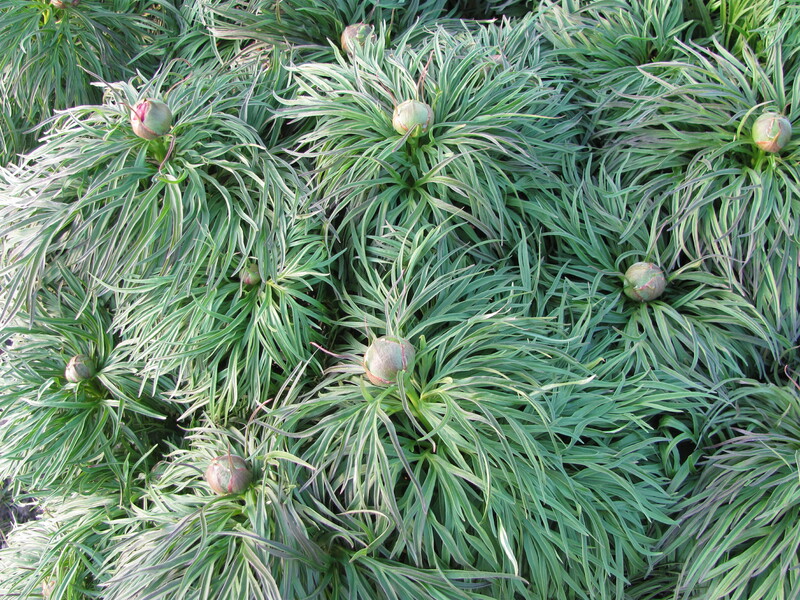 A few days ago the peonies sported fat buds, and the woodland azaleas were just coming into bloom. 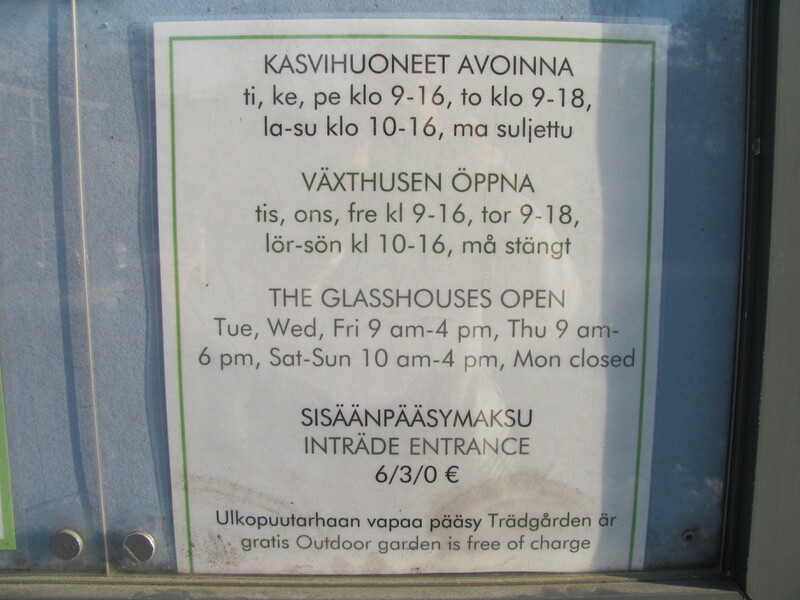 The Kaisaniemi Garden is open – and free – to the public, though you have to pay to go inside the beautiful wrought-iron glass houses. 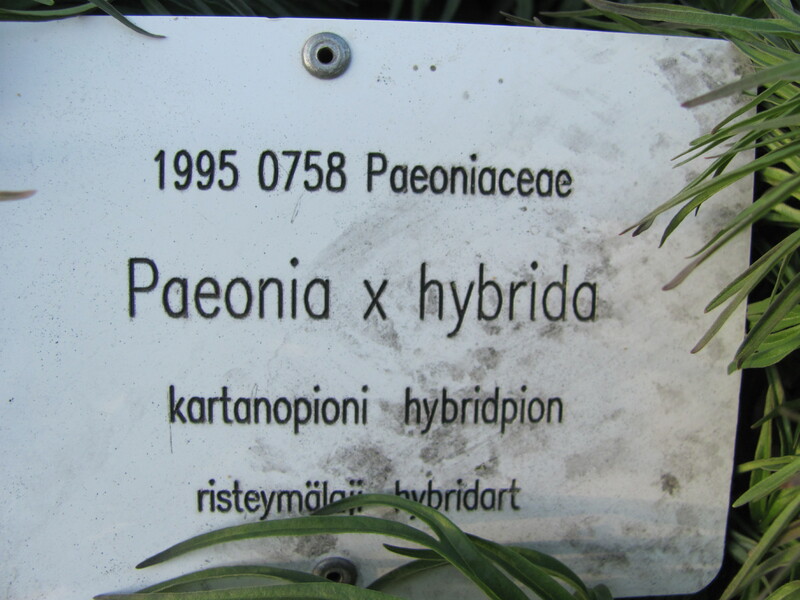 The gardens are home to more than 2,800 plants of different origins, founded in 1678 in Turku, moved to Helsinki in 1829, and further developed into research gardens – and as a place for the citizens of Helsinki to walk. It includes a tree-lined park and a landscaped garden formed by winding paths – though the original walking area was larger, pared back in favor of garden space. 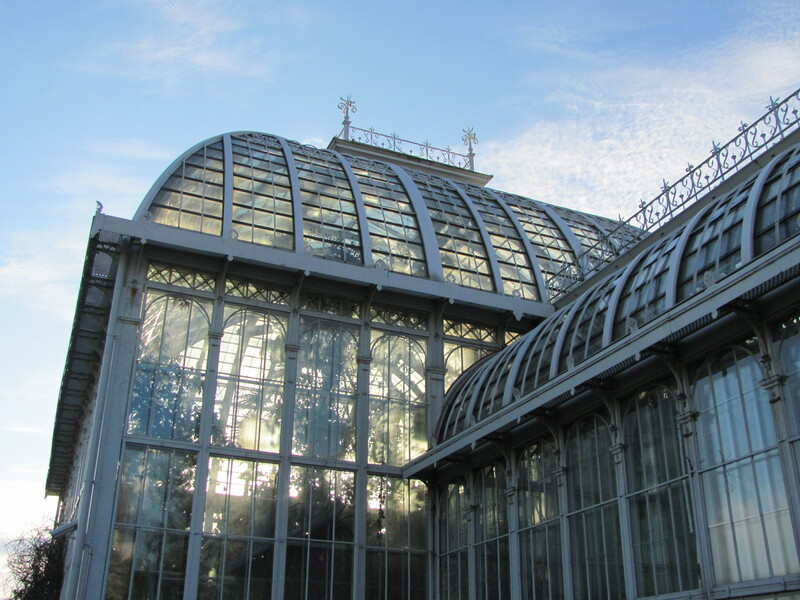 An impressive building – The Botanical Museum – shares space with the gardens, but is not open to the public. In addition, there is gallery between the large and small glass houses, that hosts temporary exhibitions. 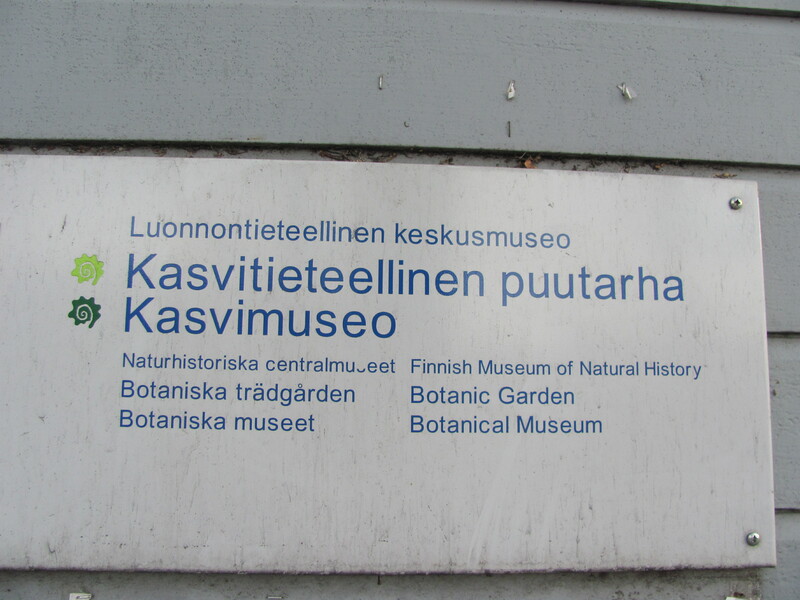 Now a part of the Finnish Museum of Natural History, it is the oldest scientific garden in Finland – an urban green treasure – just a few steps away. PS – posted a few more shots on my Flickr account – but my camera and photographic skills don’t do the glass houses justice.